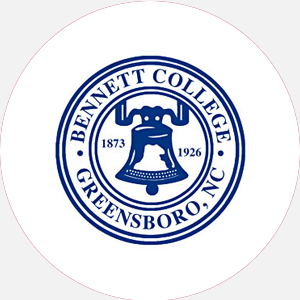 Bennett College is a four-year liberal arts college for women, affiliated with the United Methodist …. Bennett College is a four-year liberal arts college for women, affiliated with the United Methodist Church. Founded in 1873 as Bennett Seminary, the school was chartered in 1889 as a coeducational college and was renamed Bennett College. Twenty-seven years later, it was reorganized again as a college for women. Bennett College is one of the few remaining four-year liberal arts colleges for women and one of only two historically black colleges for women. Bennett’s mission is to provide a unique liberal arts curriculum that produces professionally, socially, and morally responsible women while inspiring them to develop their own identities. Bennett aims to provide quality education for the next generation of world leaders, educators, scientists, and homemakers. The 55-acre campus houses twenty-five buildings, including a state-of-the-art telecommunications facility and a children’s house with a preschool laboratory and a single parent/children’s program. Graduation from an accredited high school (or equivalent) with 16 units, including 4 English, 2 mathematics, 2 natural sciences, 2 social sciences, 1 foreign language, and 5 electives. Students must submit an official transcript with a minimum 2.0 GPA, a personal essay, and three letters of recommendation; interviews are needed for some prospective students. A nonrefundable application fee is required. August-May (semester) Commencement and conferring of degrees: May No summer session.